The black and white vector icon lightbox contains simple, yet very versatile images that give you the freedom to personalize them for your particular needs. 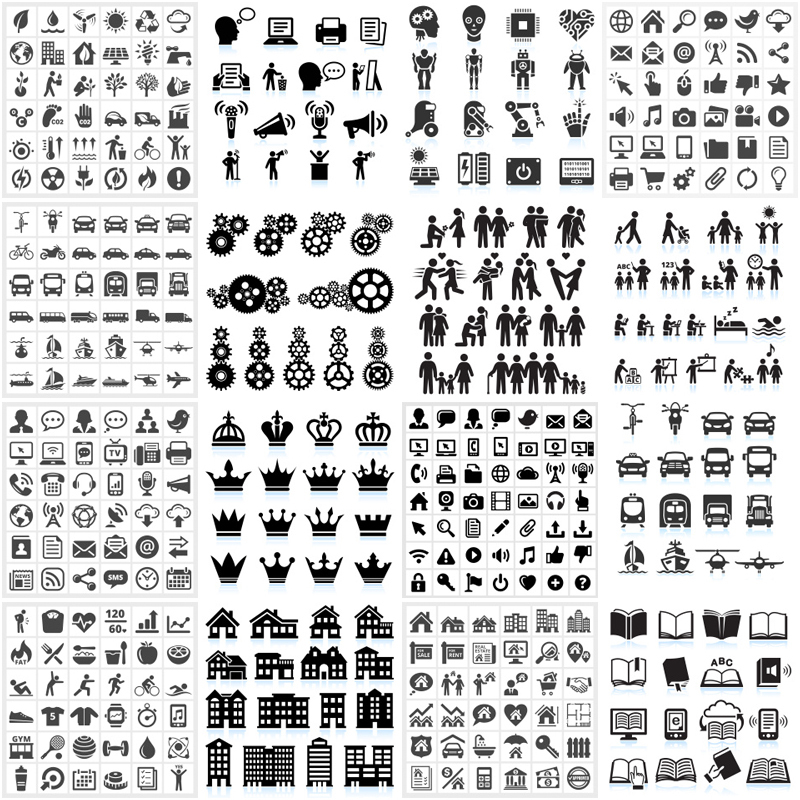 As you browse the more than 2500 black and white vector icons available here, you can find black and white icon sets and individual images that are instantly recognizable and also offer you great value because they contain multiple icons within a single image. These black and white vectors can be used for a wide variety of projects, including being placed on buttons or used in educational, business, or other applications. Are you looking to grow your business? Do you find it as a difficult task to attract new customers? Do you want to experience the benefits of having a higher conversion rate? Then using professional black and white icons will help you achieve your goals. We live in a visual world. Our professional icons, infographics and illustrations are highly recognizable and infinitely engaging. Using professional graphics for your website and marketing material is the first step to gaining a significant boost in conversion rate. Web, mobile, print and TV — our top quality graphics are always a perfect option. Look like a pro with graphics that are 100% pixel-perfect at any size and can be used across multiple marketing channels. Our images land themselves perfectly to response web design and mobile applications and help you stay ahead of the competition. You don’t have to spend hundreds on professional graphics and can get our high-quality vector images for a lot less than what you may think. Discover icons and illustrations that won’t cost you a king’s ransom and will help your business look your best.